you ensure you are using the latest versions of all the export forms, meet the requirements of changing export regulations, and can take advantage of new software capabilities and features. 1. 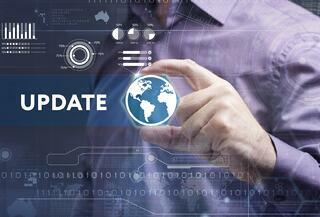 Free updates to the Shipping Solutions software. 3. Free online training for the software. Document Determination Wizard, which defines the various export documents that are or may be required depending on where you are shipping, what you are shipping, and how you are shipping them. Visit the Shipping Solutions software Support page. Learn more about the Shipping Solutions Export Compliance Module. Login to your company’s Annual Maintenance Program page.